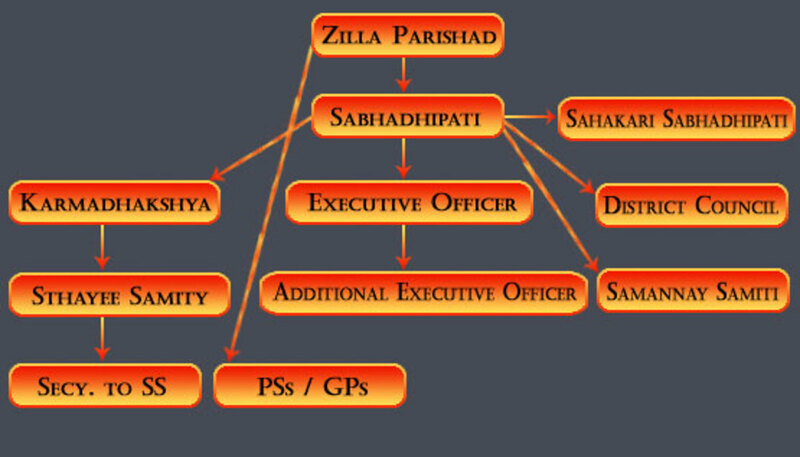 The administrative system of Panchayat(self Government) in India is a three tier system.There are Gram Panchayat(village Council) at the bottom ,Panchayat Samiti (Block Council) in the middle and and the peak Zilla Parishad on the top under this three-tier system of democratic decentralization. 3.Zilla Parishad or District Council. It is to clarify that a person holding a post in Zilla Parishad ex officio ,can not cast vote for any purpose. 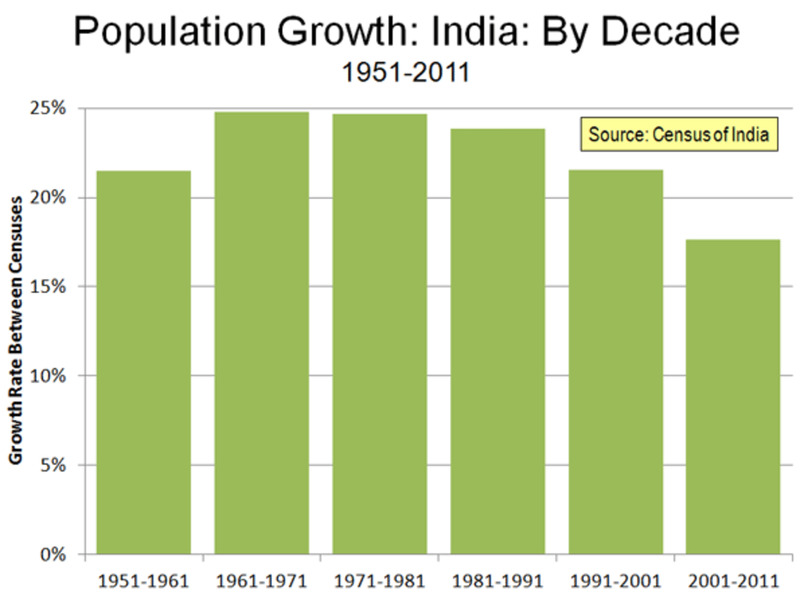 A Zilla Parishad is ,in general guided and lead by the President of that council or parishad.An I.A.S. 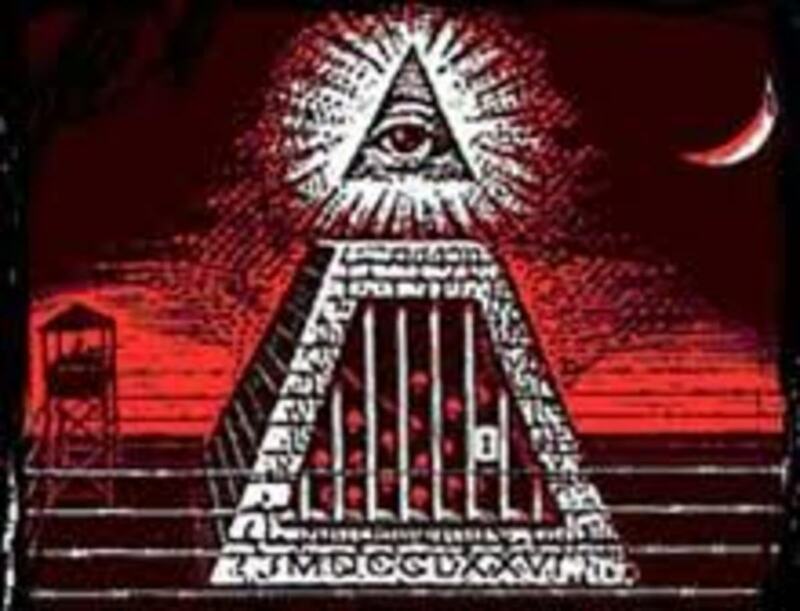 officer is appointed to help,assist ,aid and execute all performances and duties.He is the Chief Executive Officer .He is the District Magistrate.He is simultaneously the CEO(Chief Executive Officer) and D.M. (District Magistrate). 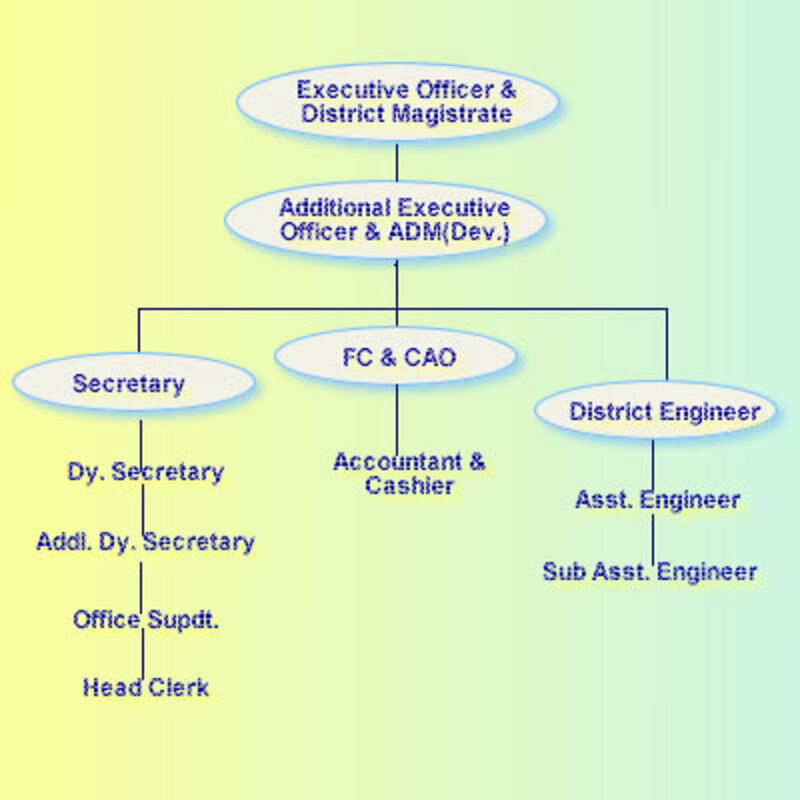 There is one Additional CEO.Secretary is appointed by government.There is one District Engineer who is the leader of an Assistant Engineer and a Sub Assistant Engineer to supervise construction under a Zilla Parishad.Financial Controller & Chief Accounts Officer,FC & CAO plays an important role in respect of finance department . 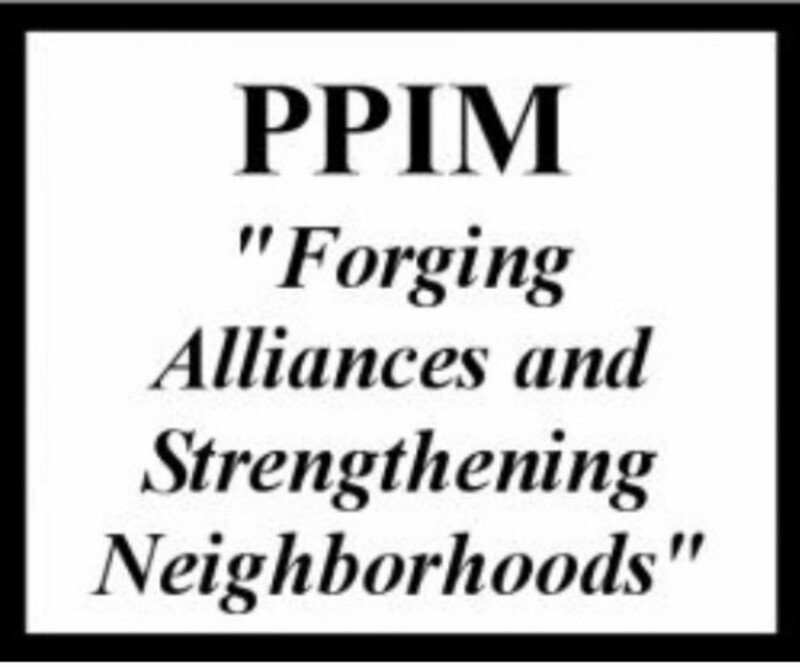 There are ten independent permanent committees under the supervision of a Standing Committee out of these groups lead by the President of this Zilla Parishad(District Council). 10. Finance and Planning and Development containing 12 members including the President as chairman ex officio. Previously it was less permanent samitis(councils/boards) within a Zilla Parishad.But now it has become ten committees in general.It may form more council if required.There is one Karmadhyaksha or Chairman for each group out of the define committee members..
All the members present in the first meeting of a Zilla Parishad (District Board) select a Sabhadhipati(President) and an Assistant Sabhadhipati(Assistant President)members of the Zilla Parishad ex officio can not be Sabhadhipati or Deputy Sabhadhipati(President).They are termed for five years.They can be dismissed by casting ballots with the majority's consent for due reasons convening a special Sabha(meeting/get together) before the date .They can also resign. Sabhadhipati(President) and Deputy Sabhadhipati(Vice President) are full time salaried employees,according the amendment made in 1992.He must promise that he will be an alltime servant to his post,he will not hold any profitable post ,he wll not involve himself in business or profession so that his direction or leadership and execution is obstructed in the process.State Government can dismiss him if he is found to be involved in the above mentioned works.But before this order of dismissal ,the Sabhadhipati(President) will be given opportunity to show cause for breaking his promise. Sabhadipati(President) is the head of this institution .He is the chief administrator.He is to bear the full responsibility of administration,finance,employing workers and inspecting their duties etc. Zilla Parishad(District Board) generally continues its duties,responsibilities and possession for five years only .Before the date of collapse of the general term , general election must be held.General election means the assembled elections of Gram Panchayet(Village Council),Panchayat Samity(Block Council),and Zilla Parishad(District Council) or any two or more than that Gram Panchayats ,Panchayet Samitis or Zilla Parishads. Government or authentic authority can elongate the continuation of a Zilla Parishad(District Board) for one year in any part of the locality if situation threatens the election of a locality.In this regard Government will notify the people in a Government Gadget.For more than six months' continuation ,proposal must be passed by the State Legislative Assembly .It may bring certain amendment to that proposal in the Constitution of India. 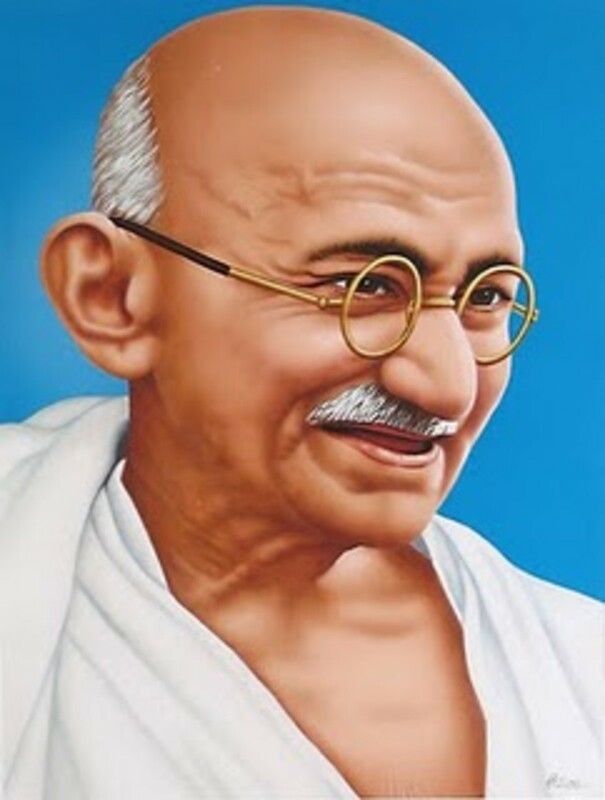 But there are certain provisions to dismiss a member before fulfilling the term he has been elected for.If a member has been sentenced for at least six months or more imprisonment for moral degradation or corruption or anything else he will be dismissed from his designation.If he is contracted wholly or partially in business with either central Government or State Government or autonomous institution,he will be dismissed.If he is appointed with certain salary either in Central Government or State Government or any self-administrative Institution. he can be dismissed.If he is declared bankrupt by court or he has not given due tax he will be banished from his duty.He will also be dismissed if he can not attend three meetings consequently. He may also resign to the post. Now a days there are ten permanent samitis(councils/boards) within a Zilla Parishad.It may form more council if required.There is a Karmadhyaksha or Chairman for each group. This institution has manly been formed with an eye help the people of urban locality.A vast part of the population in rural area iss farmer.Indian economy is mainly based on this rural farming families .Zilla Parishad aims at encouraging the rural farmers by developing irrigation system,distributing seeds of high quality etc.Zilla Parishad mekes people encouraged to build small industries in rural area.It helps the people of urban region to set up farm,dairy etc.1. 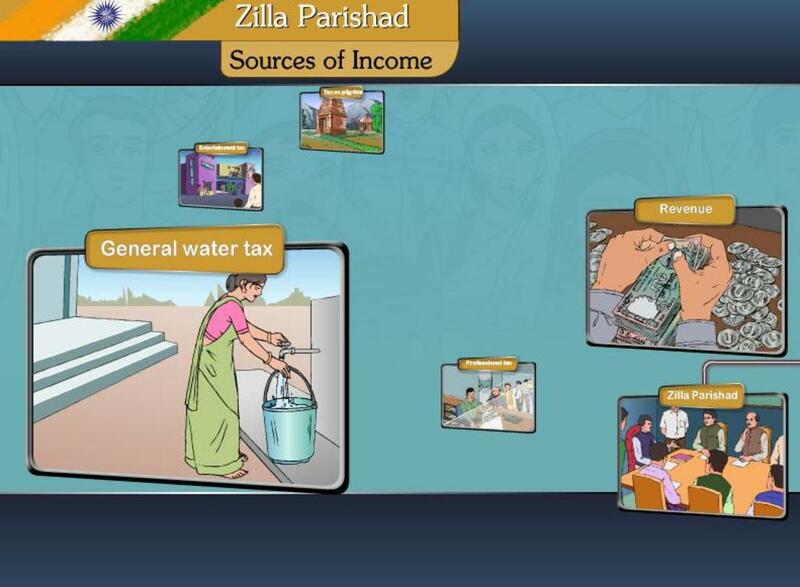 Zilla Parishad is the root of the Panchayat System in India.It assists in the full development in the rural area..
Transportation in urban area is being continually developed.Pradhan Mantri Gramin Sarak Yojona helps every Zilla Parishad in developing transport systen and connecting each and every villages to the mainstream of India. Zilla Parishad sets up new Primary Health Centers and hospitals and develops the existing ones in villages. It continues vaccination drives for the children(polio Vaccination Program) Establishing schools,educating the rural adult ,education for the old,setting up libraries in urban region are some of compulsory responsibilities of a Zilla Parishad.It has been working greatly in rural area to the development of the Schedule Castes,Schedule Tribes. assistance from outside,trustee board . Annual budget is approved by the State Government.The Government can replenish part or parts of the budget.It can approve without amendment.After the amendment it will be sent to the Government for approval,according to the state Government.But if not sent within the last date of economic year ,it will be considered that the budget has been approved.